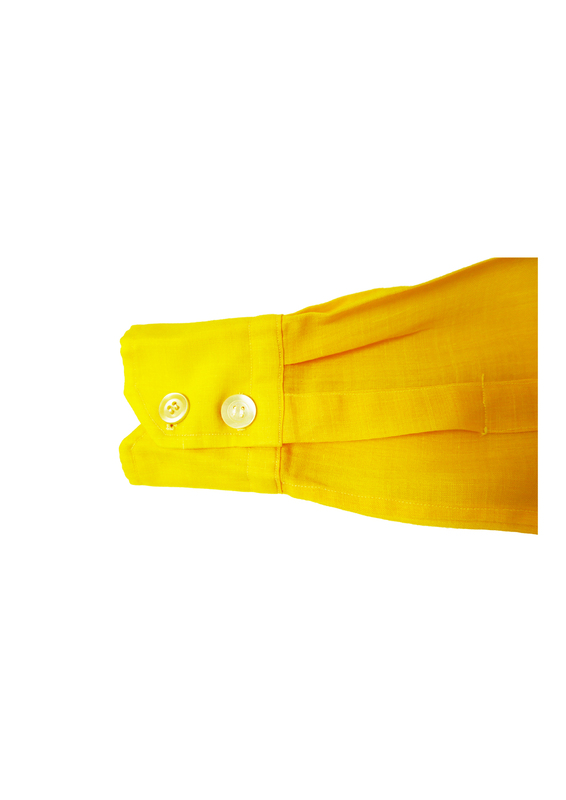 Vintage 1960’s super summery yellow shirt. 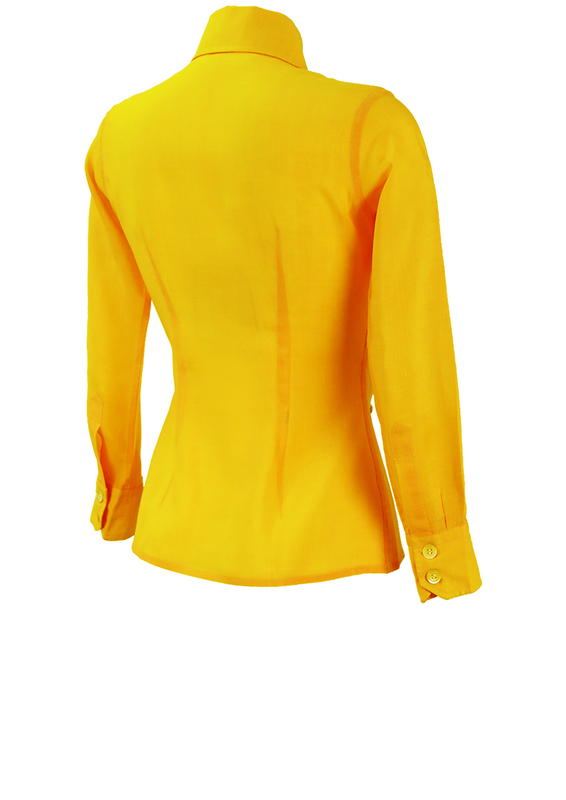 The top has quite a fitted style and curves in at the waist – we have provided a waist measurement for guidance. 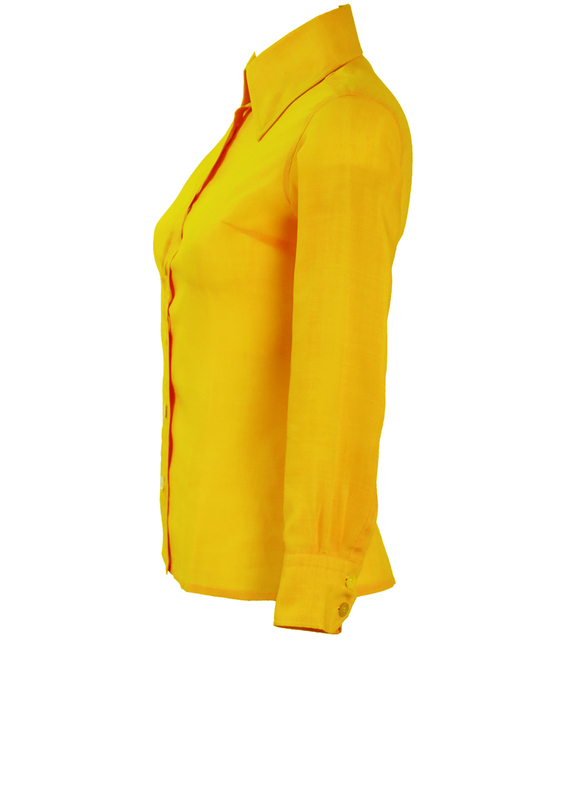 The blouse looks like it’s been tailor made and in the absence of a sizing label we approximate the garment to be a size S. Measurements have been provided for further information. There is one replacement button on the left cuff, though it is barely noticeable and a visual has been provided. We have reduced the price from £25 – £20 to allow for this. 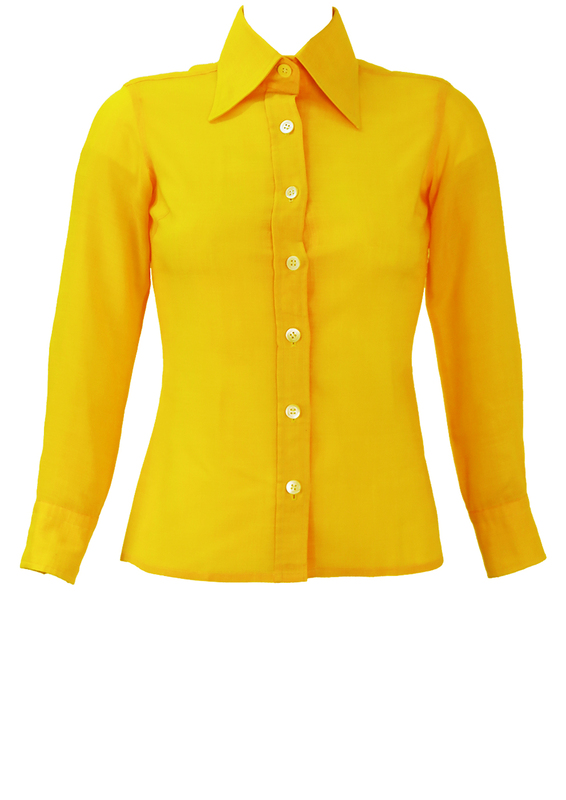 Although there is no fabric label, the shirt has a lightweight cotton or part cotton feel to it and is in excellent condition.